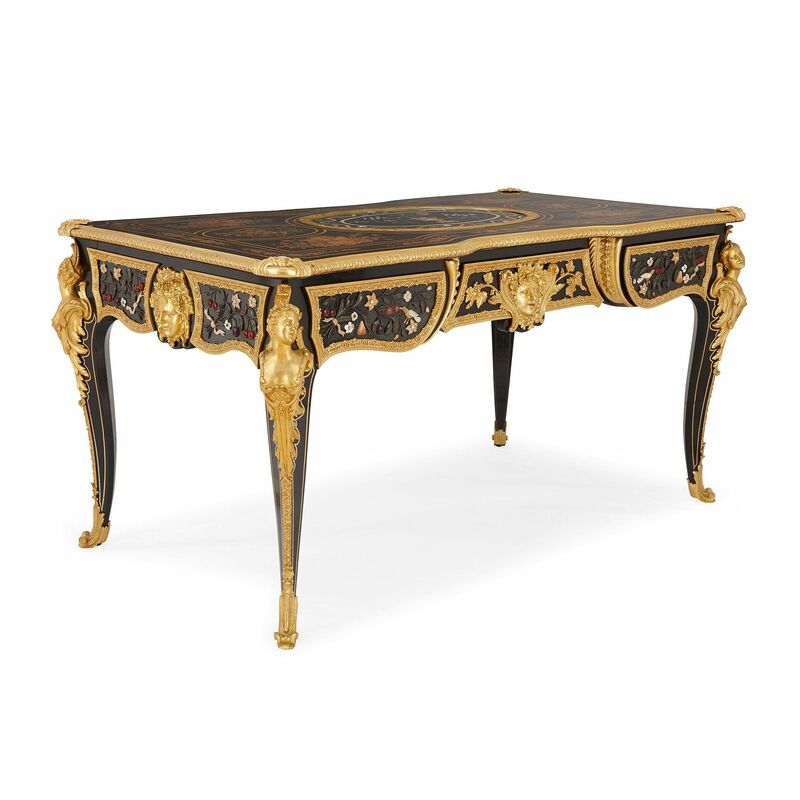 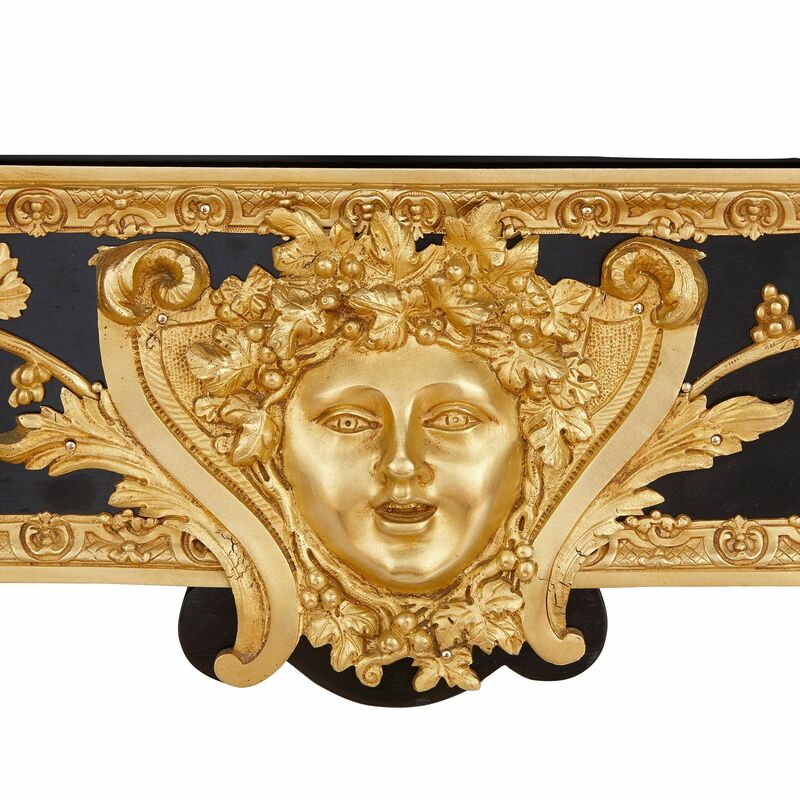 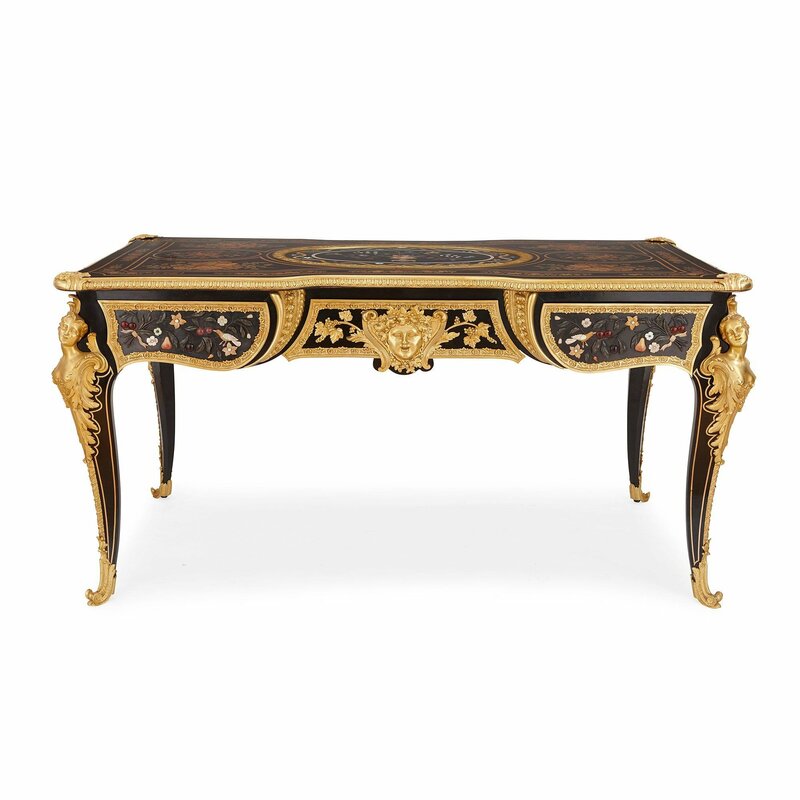 The bureau was built in the Napoleon III period. 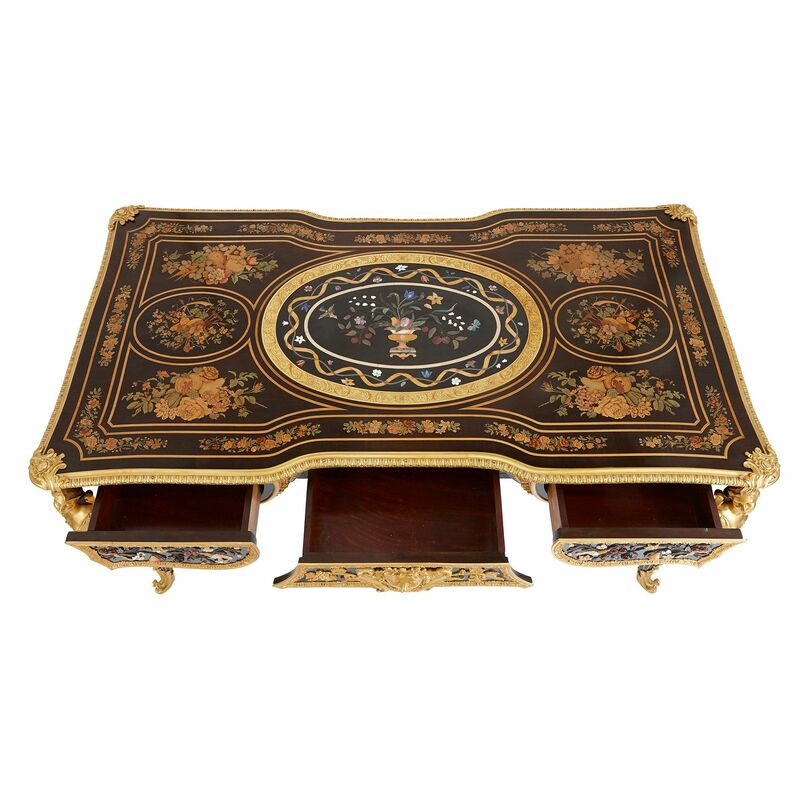 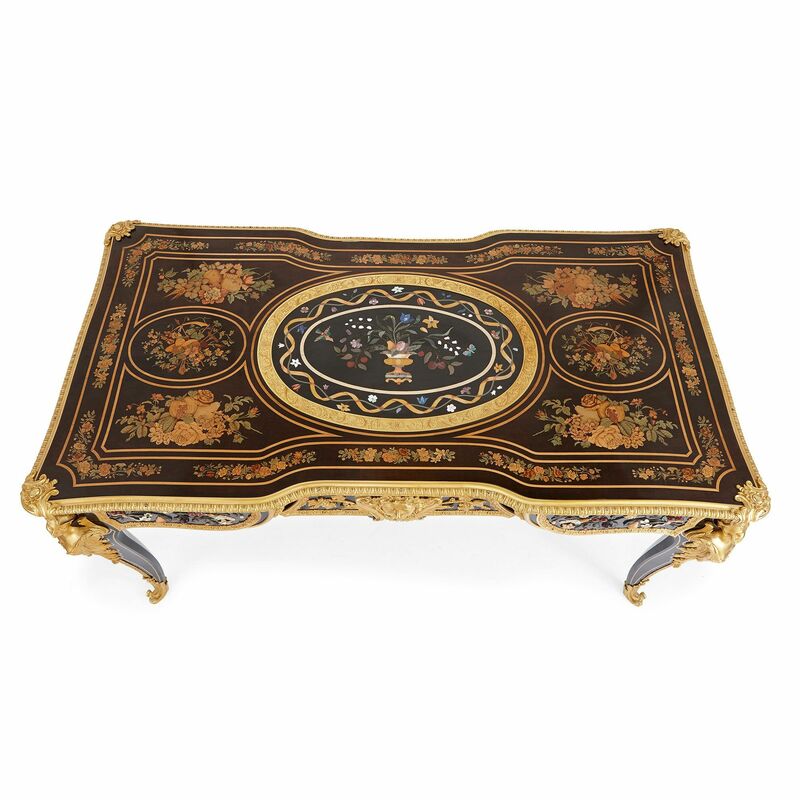 It features a rectangular top with a central oval pietra dura panel depicting a bird, a butterfly and a vase with fruit and flowers, set within an ormolu border and floral marquetry decorations around. 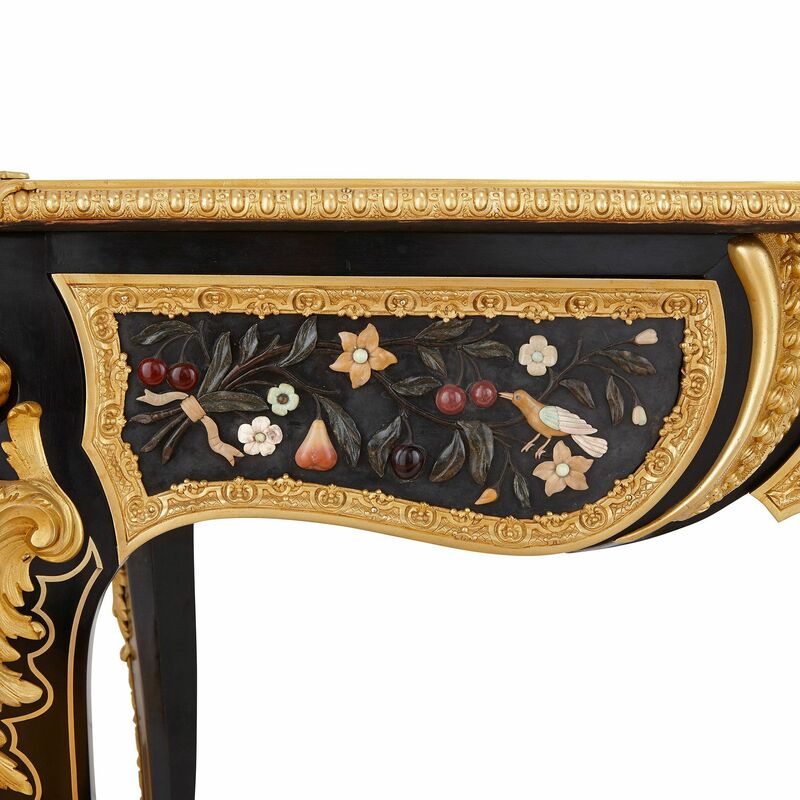 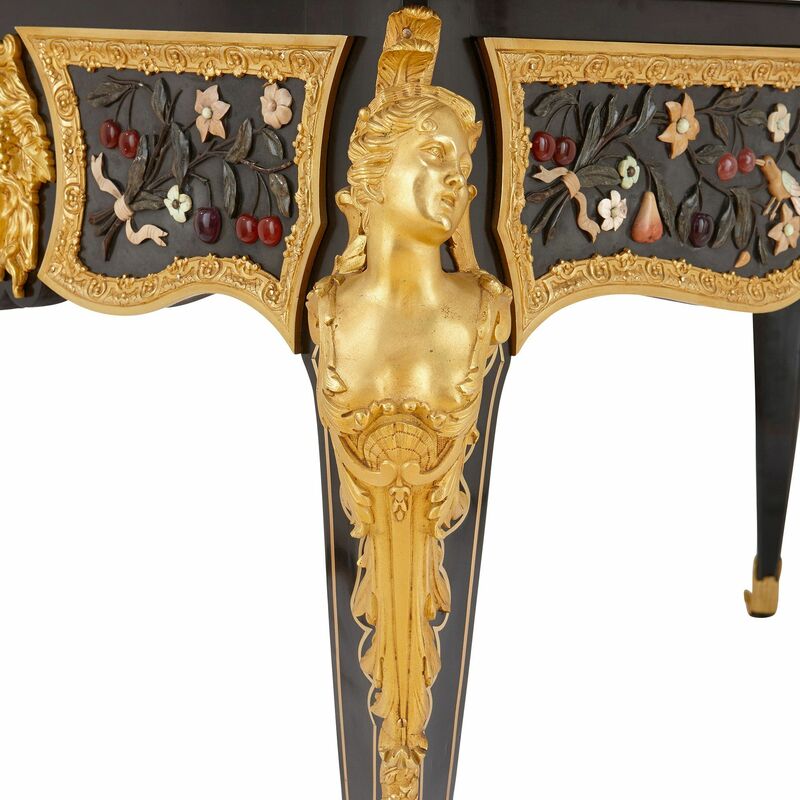 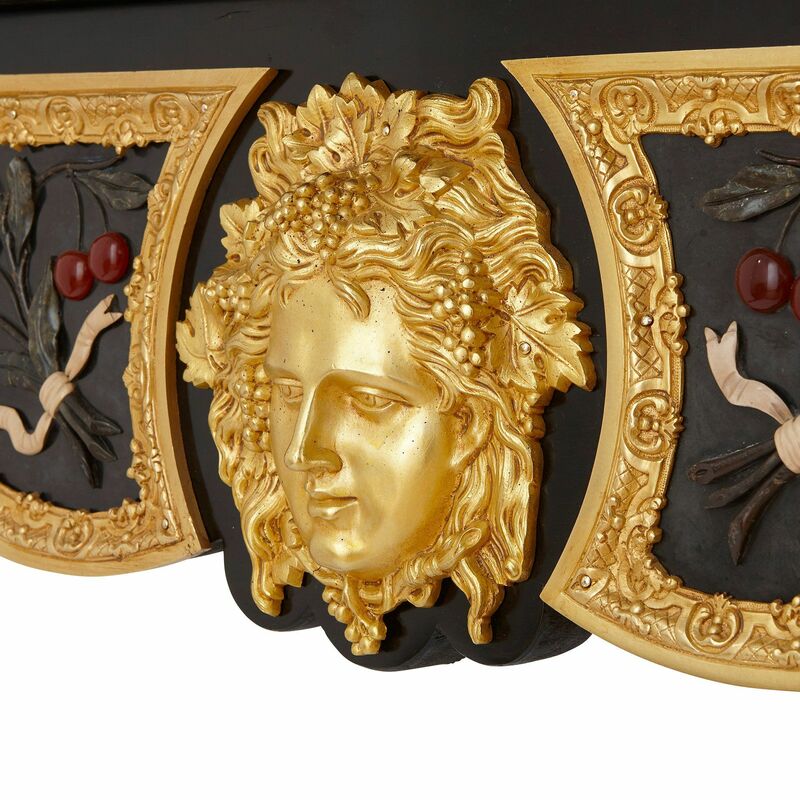 The ebonised wood frieze contains three drawers to the front opening with spring mechanisms, ormolu masks and floral applied hardstone decorations, leading to four cabriole legs with ormolu female bust terminals and scroll feet. 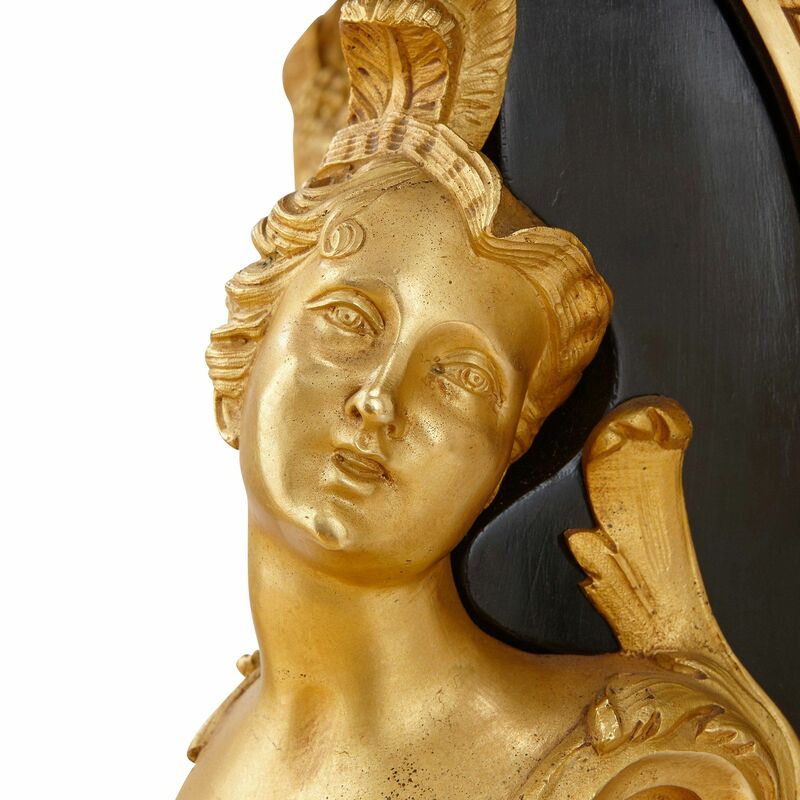 One ormolu mount has been removed to reveal the stamp 'Gros' on the underside.